Human teeth are strong, and they’re meant to last a lifetime. Sadly, they often don’t. Tooth loss due to dental decay, gum disease and accidental trauma is common in all populations. Replacing missing teeth is essential to maintaining your self-esteem and protecting the health of your other teeth. If you don’t replace a lost tooth, adjacent teeth can shift or become crowded; your bite will be incorrect, and you’ll gradually lose healthy jawbone. Dental implants and implant dentures have been restoring lost teeth for more than 50 years. 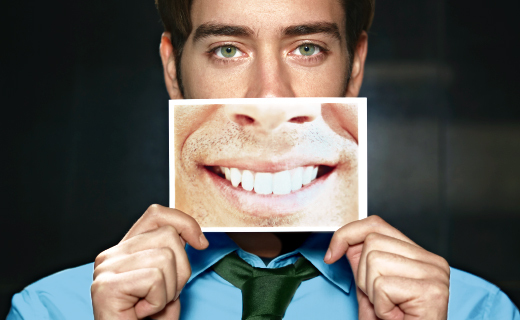 Dental implantation is a stable and predictable treatment choice with a high success rate. A dental implant is a small metal anchor that is surgically attached to your jawbone to replace a natural tooth root and hold an artificial crown. Affordable dental implants can restore your smile without causing harm to your other teeth. How Do I Know If I’m a Candidate for Implants? Only your dentist can determine if dental implants are right for you. In general, good candidates have fully developed jawbones, healthy gums, and no serious medical problems that would interfere with healing. If you don’t have enough viable bone to support an implant, there are several ways your dentist can correct the problem. Are There Different Types of Dental Implants? Many types of affordable dental implants are available to meet specific patient needs. Implants can replace one or more individual teeth, or serve as anchors for removable and fixed dentures and bridges. Implant dentures never slip or make unwanted noise like conventional dentures, and implant-supported bridges don’t involve neighboring teeth. Treatment time varies from patient to patient, but many implant procedures take several months to complete. How Do I Get the Best Dental Implants? Start by finding the right dentist in Virginia. An implant dentist’s education, experience, and skills are key; specialists qualified to perform dental implant restorations include general dentists, prosthodontists, oral surgeons, and periodontists. Friendly professional staff. Just love the staff there, they are all just great. I’ve always been happy with the people and service.